Wall Lights are the ideal addition to every room and even a splendid way for making an area feel complete and inviting. These are main components of every layered lighting scheme. They make a room feel larger and brighter while forming a pleasant ambiance at the same time. However, wall mounted light fixtures balance the sources of overhead light as well as add something additional for rounding out the home décor. Fixing wall lights would be a good way to actually make your house feel like a home. 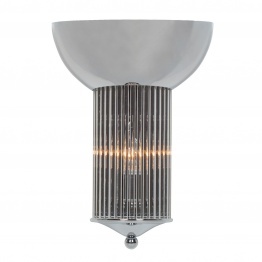 We have a varied range of wall lights which can look and function well in nearly all room in a house. You might go for these pieces for the function they meet but they can be actually perfect options to style and spruce up any room, from the bedroom to hall. 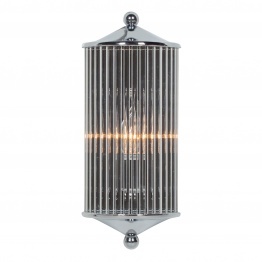 Browse our collection of wall lights that come in a variety of styles, finishes, and forms. 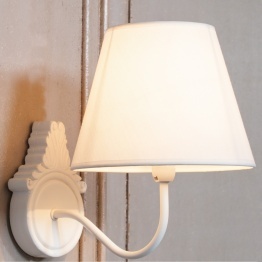 If you wish to brighten up a piece of artwork or a dark corner of your room or if the lighting of your bedroom is not just enough, our wide collection of French Wall Light would do the trick. From funky French lights to elaborately decorated pieces, there are tons of options here to match your scheme. Modern house schemes can take traditional French wall light styles for adopting a sharp monochromic look or electric look. If you have many French style assets or just want to add a sophisticated touch to your room, consider these unique wall lights. Our cut glass wall light collections can add mood lighting to your room. These wall lights can impact the beauty of your living room. With the goal to offer you perfect and the best things to adorn your house in your style and taste, we have brought our exclusive collection of these light pieces. Fixing it, you will understand what it imparts to your room. The striking effects of cut glass in one real room setting will simply stun you. We have an impressive collection of metal wall light, with sufficient color and style options for satisfying the pickiest customer as well. 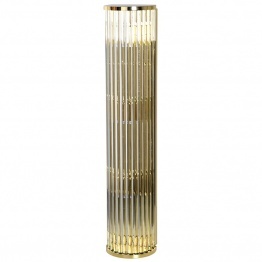 Our wide range of these wall light pieces will fit your needs or taste. There are tons of options for illuminating the home and these metal light fixtures are even one of them. They would be a great way for creating a special feel and look for any living space. Wall light with shade is a splendid way of adding a distinct ambiance in a room as it creates soft light shade which will make you feel calm and relaxed. With our collection of these lights, add an extra glow to any space of your house. Our wooden wall light collection is simple enough to make any space beautiful and unique. Each of them comes in the best finishes, using the high-quality materials. You will get them in a variety of styles, designs, shapes and other detailed features.